The Triumph TR3 was a car built between 1955 and 1959 by the Standard Motor Company in the United Kingdom, during which time 13,377 cars were produced, of which 1286 were sold within the UK while the rest were exported mainly to the USA. 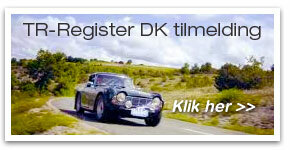 As of 2002 there were only 893 registered TR3/3a's on UK roads. Original Optional extras - Seatbelts, overdrive, wire wheels, glass-fibre hardtop, occasional rear seat, radio, heater, leather upholstery. 1. 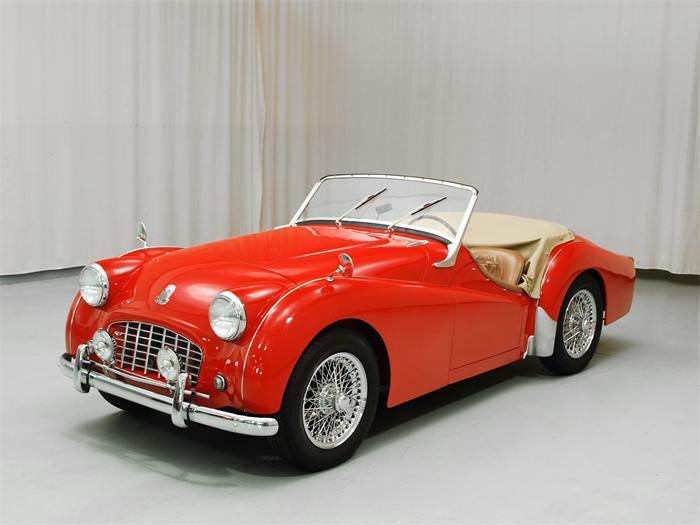 ^ a b "1955 Triumph TR3". carfolio.com. http://www.carfolio.com/specifications/models/car/?car=17523. Retrieved 2008-01-01. 2. ^ a b c Manwaring, L.A. (1960). Observer Book of Automobiles. London: Frederick Warne. 3. ^ a b c "The Triumph TR3 Hard-top Coupé". The Motor. April 4 1956. 6. ^ Robson, Graham (2006). A to Z British cars 1945-1980. Devon, UK: Herridge. ISBN 0-9541063-9-3.